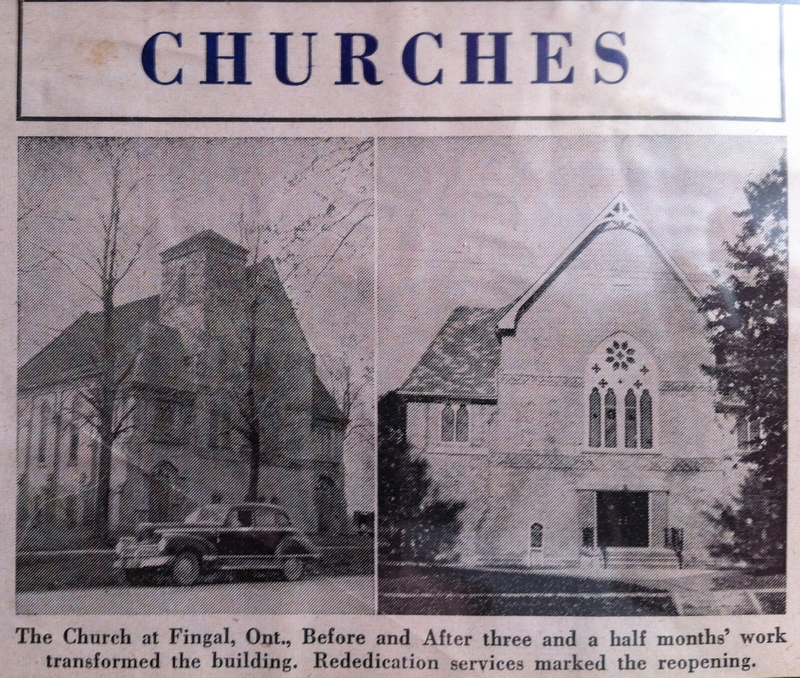 On July 3, 2012 the Fingal United Church will cease to be a place of worship. We want to preserve the history of this structure and are glad to share information about it with you. 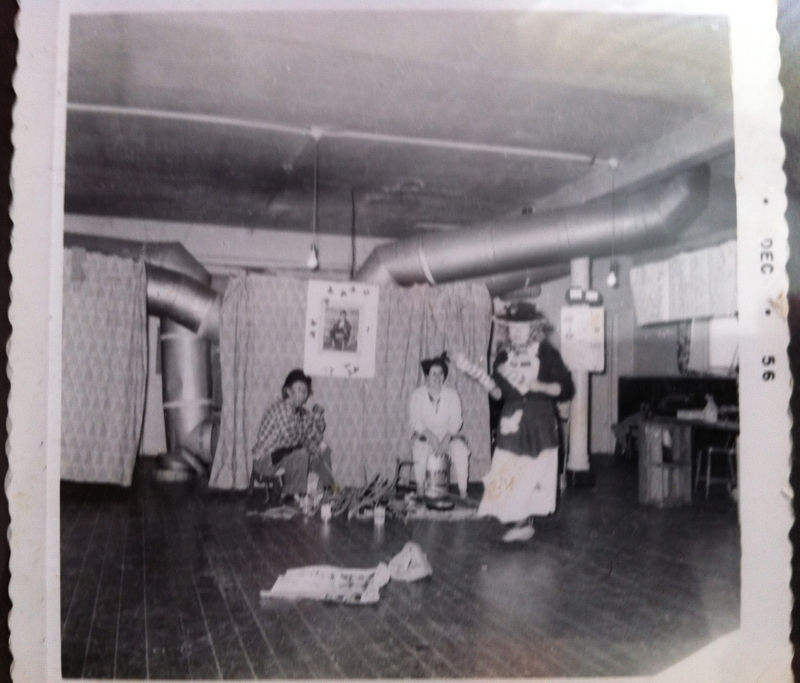 Here are some old photos of the church that we have acquired. I hope to get some originals to scan at some point and to gather more information over time. 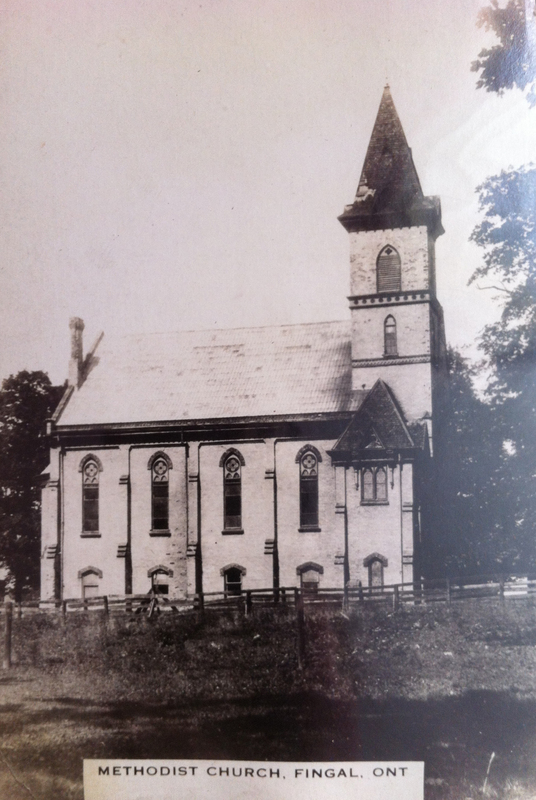 Some of the photos are from the early years as a Methodist Church (started in 1878 and finished in 1879). As you can see, the building had two entrances at the sides. The separate entrances were for men and women. The building still contains the original divided pews (no hanky panky). You can also see that there had been a bell tower in the front. 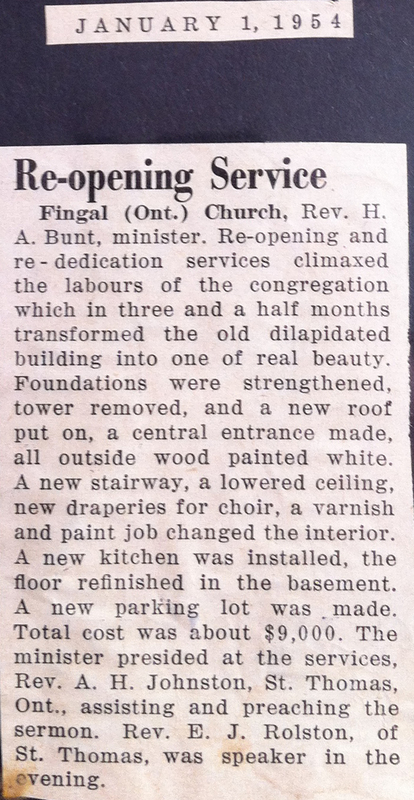 Renovations in 1954 saw many changes. The foundations were strengthened, the tower removed and a new roof put on. They got rid of the two entrances and created a central entrance as exists today. They painted all of the wood on the outside of the building white and added new stairs. They also lowered the ceiling. A new kitchen was installed and the floor in the basement refinished at a total cost of $9,000 (can you imagine?) I have included a clipping from January 1954 with the details. There is also a clipping from the paper with a before and after shot. Wow – it looks so different. I love this photo from 1956. I am not sure what they are doing – maybe putting on a play? The fun part is the heating system that they have – take a look at that duct work! It looks like an octopus! From the original photos I can see that the chimney was removed from the back and installed on the other side but I don’t know when that was done. I am also not sure of when the addition with the washrooms were built. I don’t even know when it became a United Church. I will continue to research the details. 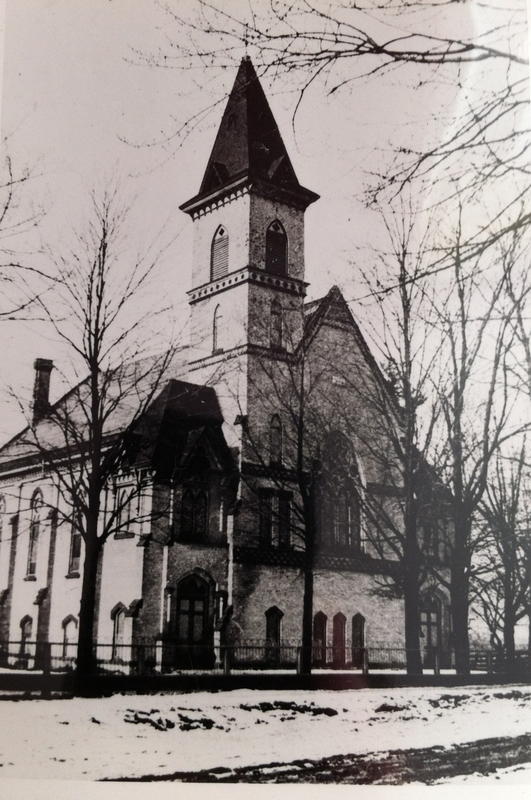 I love to study the history of old buildings and look forward to learning more about the history of our home and sharing it with you.